Vacationing in Wailea Makena, Hawaii Vacation is the time to relax, to spoil yourself with the luxuries of leisure. You bask in the sun and immerse in the waters to wave off the bounds of time and worries. Wailea Makena is a place master planned to include all such luxuries well complimented by the modern buildings and urbanized community developed to establish a completely lovable and enjoyable island environment. Attributed among the 99 Best Recreational & Residential Private Communities in America, Wailea Makena is situated in the south of Maui Island expanding on an area of about 1500 acres. The island consists of many single-family and condominium complexes with gated security as well as privacy for the residents. If you do not wish to spend hours in the traveling while you start your vacation, this mesmerizing island in Hawaii is easy to access. The direct flight to the Kahului Airport in the west of Maui Island is the best option. Almost 35 minutes of drive from the airport brings you to the most beautiful and enthralling place to spend your vacations. Staying within your budget, the place offers many recreational activities and fun. A humid weather prevails in the island of Wailea Makena. From March till May are the ideal months for lying on beaches and enjoy breeze and sunshine in open. The rainy season starts through September till November. From December to February are the months of cooler temperatures and marks the winter season in the zone. Hawaii is known for its beautiful beaches and magical landscapes. Wailea Makena possesses a great deal of its share in the beauties of nature. The deluxe beaches and stunning views of nature, ocean and various other attractions make Wailea one of the go-to places that offer all the fun and relaxation you need to enjoy by yourself alone or along with your family and friends. Artists, travelers, nature lovers and those looking for the serenity and calm can succumb to their wanderlust at an exotic beach like Wailea and let themselves immerse in the tranquility of Mother Nature at play here. There are a lot of fun activities to do during your trip. Plan a day to view staggering sunrise, go down the waters and swim through fresh waters. • Brave enough? Then take surfing board and rejoice your courage. • An explorer? Then drive to some fantastic cities and hike on extraordinary trails and the Rocky Mountains. • A nature observer? Take the sunset cruise and enjoy the serenity and freedom. • Want to have a more cliquey time? Then visit the spa or just watch diving whales. Snorkel activities and fishing sports are a must to make your trip a memory forever. • Golf addict? Stellar golf courses at Wailea Makena await your strikes. The Wailea Blue, Wailea Gold and Wailea Emerald courses provide the 54 holes of championship golf providing ample space for golfers. If you wish to make your holiday season, an everlasting memory, then unearth and explore the scenic treasures of nature by visiting some really amazing places in Wailea Makena. This is a land of five beautiful crescent-shaped beaches. • Ulua Beach is the characteristic destination of Wailea Makena. The bright sunshine and slight cool breeze of the island is a perfect combination for surfing lovers. • Makena Beach State Park is a fantasy point which is heaven to people who wish to jog or walk around early morning. • The Dunes at Maui Lani is a beautiful visiting site with some best Rocky Mountains sites. The sheer trails and hiking tracks are signatures of the area. The Hoapili Trail is a famous site for it goes to the lava fields about 2.5 miles away. • Maui Ocean Center is the largest public aquarium on Maui, which exhibits coral reef habitats, sea turtles, sharks, and humpback whales, and many others. It is an interesting spot to experience marine flora and fauna. While you plan your vacation to Wailea, do not forget to explore the suburb cities and areas of the place to experience the beauty of the island to its full. This holiday season, discover the nearby cities of Wailea Makena and rejoice the pleasures of natural beauty and vacation rentals. These include Kihei, Lahaina, Wailea, Hāna, Paia. The island is full of food options for foodies. The island features few world-class restaurants and eateries to fulfill your hunger at the end of the fun-filled and tiring day. The award-winning restaurants in the area serve the regional Hawaiian cuisine which gives you the exact flavor of Hawaii once you are there. Wailea Makena also holds two events namely the Maui Film Festival, and February’s Whale Week which are an added attraction to the vacation at Wailea. Staying at a secure and private place is the foremost choice of most of the tourists. Wailea Makena is home to many hotels, villas, and resorts which suffice the need of private and secure residential rentals in various price ranges. 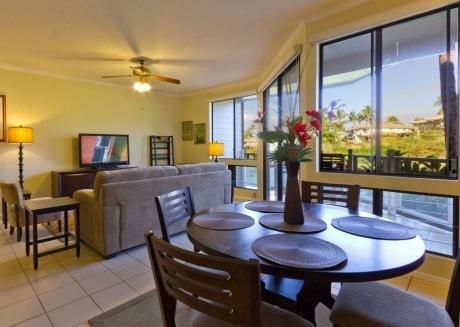 You have a choice to choose from thousands of vacation rentals in or around the area. 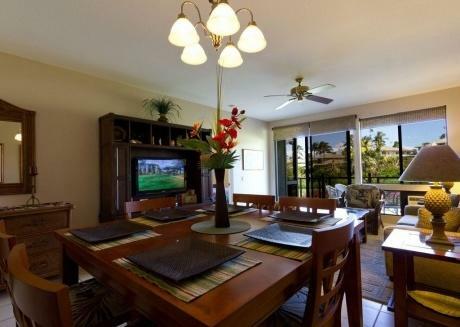 The Grand Wailea Resort Hotel and Spa is the famous choice of vacation rentals. Other residential rentals include some hundred and ten stately private houses. Over three thousand condominiums and apartments are also available as vacation rentals according to your budget. So make yourself comfortable and get ready for all the fun and joy while staying in the comfortable and private spaces avoiding all the fuss and fears of visiting an unknown place. The best part is that many vacation rentals offer internet access, kitchens, air conditioning, and other basic facilities.